What activities can I do at Camp? 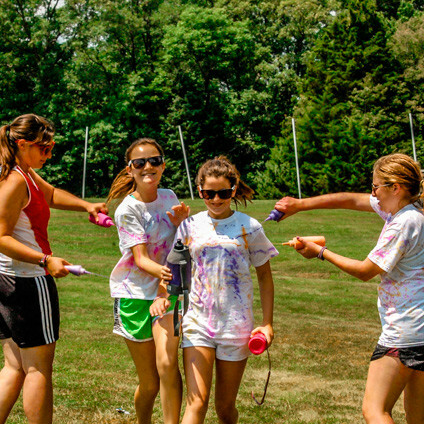 Camp Sabra’s location makes it the perfect campus for our many different activities. Our extensive shoreline and water access give our campers the opportunity to try kayaking, sailing, skiing, swimming, wakeboarding, stand-up paddleboarding, and more. Our access to the natural world through Camp Sabra’s woods allows our campers to experience zip lining, hiking, high- and low-ropes courses, etc. Additionally, our facilities provide our campers the right venues to be a part of our creative and performing arts programs in a supporting environment. 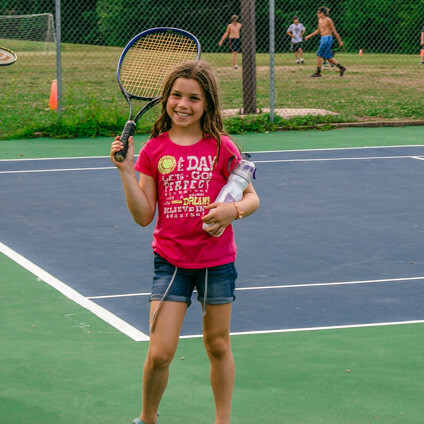 We also provide our campers with sports opportunities, as we have tennis, basketball, and volleyball courts; softball, baseball, and soccer fields; and even a human foosball field. Almost all of our campers take trips during their time at Camp. From our all-camp trip to Big Surf Water Park to our oldest campers’ weeks-long trip to the Colorado mountains, we encourage campers to reconnect to nature through engaging and immersive activities and experiences. We truly unplug at Camp Sabra – no screens allowed! Believe us – your children won’t miss them. The facilities and grounds at Camp Sabra, including our trips, give our campers the opportunities to try new activities and gain new skills. 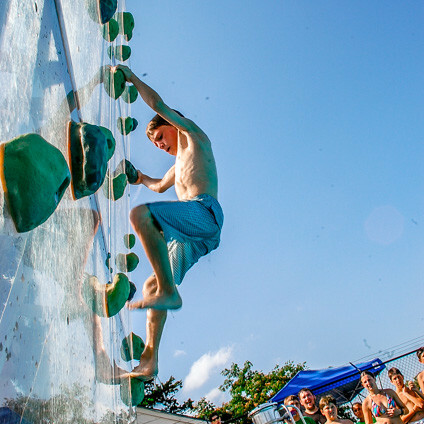 While campers are not required to try each activity, we do encourage them to seek out new challenges and experiences. Campers’ abilities grow throughout their summers here, and we make sure to create an environment where your children feel safe as they try new things. Our counselors and specialists work to incorporate Judaism into all of our activities while teaching campers both skill-based activities and group living skills. From the sail dock to the Arts & Crafts building, our Jewish identity plays a part in all that we do at Camp Sabra.